The Executive office Concepts has grown steadily fast and is designing programs that will move it to the next edge of advantage, with the view of securing a large market share. These include revamping in-house cataloguing system, distribution department and a unique mobile customer service aimed at tracking of marketing and sales. Currently the market segment puts it in an overwhelmingly good market scenario full of opportunities for growth. To exclusively beat the market, they envisage concentrating on improving quality by way of using high quality materials coupled with unique artistry. They will also embrace technological advantage and adequately do this through increased market research and tailored customer service with a lasting intention to meet the ever-changing market needs. All market segments ranging from home office, small business enterprises, and corporate clients will subsequently render their loyalty to quality of the products that are customer focused. To sustain this strong loyalty, they will stress on ensuring quality of manufactured products. They will reach out to the market by way of marketing drives that will bring about product awareness. The Executive Office Concepts boasts of its unique and well-designed furniture that integrates advances in technology. The company designs its products to fit the office model that is admired by its market. The company values customer needs by providing to them quality interior look that gives a best possible office environment that is commensurate with the price. The marketing strategy for EOC rides on an assumption that they will move into the market through segmentation so as to address the needs of their target customers. The target of high-end quality catalogs will ensure that the company captures corporate clients through offering them classic quality. EOC’s publicity created on the internet places it on a better edge since it will facilitate the market knowledge about their products. This strategic positioning will make use of the computer technology so as to access both existing and its “would-be” customers. To constantly increase their sales by more than 200% during its first four- years of operation from $ 2 Million in 2011 to 4 Million in 2014. To maintain financial capacity that will enable it move the business by independently financing its programs. To reduce the marketing variable cost from the current 25% to 15% by end of three years. The company devotes its marketing efforts to segmenting its market into low- end and high- end customer niche. The company however endears itself to target the high-end customer class who are willing to appreciate quality by paying highly. The company will put emphasis on the quality of materials, improved customer service and customer focused design as an enabler to consistently beat the target market without much strain. Executive Office Concepts prides in alienating itself from the ordinary market players through manufacturing high quality, technology driven furniture design that attracts high price. The main selling point entails reaching out to the customers through building an improved and customer friendly environment that appreciates and respects the clients. To enable this, the company will engage a more professional team and institute employee policy plan that will energize and promote craftsmanship. The ECO’s competitiveness will basically lie in the ability to determine the current and future segmented customer needs. This will be done by way of conducting routine market research that provides a road map to boasting sales while considerably reducing the marketing expenses as a result of assured quality. The company’s approach to competition is its niche that has been won due to incorporating the technological advantage together with the traditional craftsmanship. Since many manufacturers have not utilized this advantage, EOC has fully used it as its edge that advantageously propels its market penetration. EOC’s market entry concept is that which segments its customers and concentrates on the quality-preferential facet of customers, who have the ability and willingness to consume quality irrespective of price. The company, due to extensive market knowledge has created a lasting loyalty to its customers. Therefore, the product quality has strategically placed it on the top of market ground .In ensuring this trend, focus is on the right mix of high quality wood, customized design and unique artwork that continues to elicit sustainable image of quality. The pricing of its products is not strict in its nature but it’s rather modeled on the basis of customer design needs. In essence, Executive Office Concepts approaches to price determinants are basically customer-based and assured quality of furniture. EOC also has designed a customer service that is mobile in nature where customer feedback is collected and adequately used in the bridging manufacturing and market gaps. This will be made possible through the use of mobile customer service vehicles aimed at reaching out to its potential and existing market. The bottom line strategy incorporates market-led research, a mix of traditional and new technologies, penetrative approach to product distribution and emphasis on quality that differentiates it from the other manufacturers. 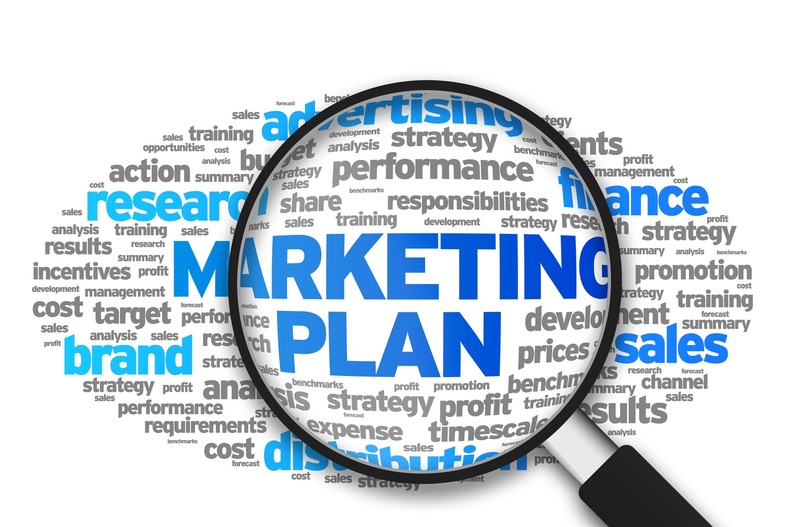 EOC’s marketing mix is determined by the nature of product and the mode of marketing chosen. However this is also aided by the ability to use special channels of distribution that are able to avail the products in a timely manner. The company approaches the market by sensitizing the market of the quality products that embraces technology, designer craftsmanship and expertise. Since packaging is a challenging aspect to many manufacturers, EOC has embarked on a strategy to uniquely package its products so as to meet the pride of its prestigious clientele. Promotional strategy is modeled to make the segmented market aware of the quality and availability of customized furniture. This will mainly be through high-end catalogs, special channels of distributions targeting those customers who can be willing to link quality with high price. To perfectly utilize its market while leveraging itself, distribution channels will be employed to penetrate the market through strategic partnership aimed at reaching the inner customer cycles. Customer service as part of the marketing mix of EOC is maintained so as to sustain the loyalty of its customers. Quality service and additional peripheral products is a key to customer retention. This retention level is intended to produce repetitive buying pattern from repeat buyers who develop product loyalty due to trusted quality and excellent customer service. To reach its inner market, Executive Office Concepts intensifies the use of in-house cataloguing system that is customer specific. Moving into partnership with local distribution channels that will quickly avail its products at required time and place will be preferable. They will also intensify market awareness while using quality as the selling point for its products. Since the target market does not choose buying on basis of price but rather quality, marginal distribution costs will be cushioned by the customer experience presented by the feel of fine wood, ergonomics and technologically induced design. Design of distribution mode is meant to beat the market by increasing the sales volumes which will be critical in leveraging the marginal expenses in marketing. Quality will paint irresistible goodwill that will enhance walk-ins who prefer picking up voluminous products from the manufacturer’s premises. The Executive Office Concepts will vest its future in intensive market research that assesses feedback and subsequent sealing of gaps that the target market experiences. To cheaply approach this, historical customer information will be used to model customer profile based on previous experiences. In doing this, EOC will be best placed to forecast its future market needs and trends. A correlation matrix will be established with a view of providing an insight into the future of potential purchase patterns. The Executive Furniture is anticipated to increase in sales with an average incremental rate of 6% on yearly basis to provide adequate operating capital for the business. Similarly, the market is thought to expand considerably as a result of the increased market awareness and market research. Possible deviations are likely. Customer dissatisfaction, decreased product demand are possible setbacks. In case of these deviations, the EOC designs possible measures such as interim feedback analysis aided by distribution channels aimed at improving customer service and quality. Executive Office Concepts will commence its strategic partnership plan with reputable distribution agents by mid June, 2011. The market research according to previous data will be instituted by end of December of 2011.this is envisioned to define the customer demand needs for the year 2012. Trade shows will be conducted by beginning of September, 2011 to showcase its design and expertise. Designing of the internal catalogs will be done in the month of August 2011 so as to proactively reach out to defined customer segment. EOC’s organizational structure has Wesley Khan as the core founder and Chief Executive officer (CEO) responsible for overall business operations. All the departments including marketing, finance, sales and human resources report to CEO. The experienced marketing team is led by Mr. Lich Richard. He has over 20years serving experience in sales and is exclusively concerned with all sales and market related aspects of the organization. The design department is critical to the quality of products. It consists of a team of five led by Jim Derrick who has an award winning reputation in design of high-end furniture. EOC’s planning relies on the Strategy and execution. As the head of this department, I am generally concerned about the implementation of the strategies designed by the organization. With a wide range of experience in strategic operations, I have served in the same position for fifteen years now. Executive Office Concepts has differentiated its market penetration strategy by way of using quality and unique customer service, coupled with executive technology-based furniture. This dramatic move that has seen EOC beat the market is likely to provoke a market reaction from other market players. It means that they are likely to unveil a competitive product that is intended to outdo the EOC’s high-end, technologically modeled furniture. EOC faces a possible sprawl of other competitors in the same line which may limit the market share. Lastly, already existing companies may also be motivated to invade the target market that will be consequently a threat to the image of quality that has been seen as the best in the market. However, these obvious challenges will not pose a great market crisis because of the lasting loyalty that is entrenched especially in its segmented and differentiated target market.